SINCE writing the preceding article suggesting a 10-point plan of safety improvements for the Transport Industry, it has been interesting to talk to drivers and operators and listen to concerns about recent events. Overwhelmingly the response from many has been that it's "about time" the authorities took action against those who blatantly disregard the law and present a danger to all on the road. This attitude was highlighted most by the comment from one small fleet operator that all his trucks are now limited to a true 100km/h rather than the more "liberal" setting that they were previously adjusted to. In his words "I just can't afford not too". Actions and words mirrored by many others. The first item listed in my 10-point plan was the introduction of medicals for HR and higher licence classes with three year check-ups. I can hear many doubters now, "how is a medical going to improve safety?". Medicals are already a requirement to obtain an MC licence or if a driver is to operate under the Basic Fatigue Management (BFM) scheme. Only recently the ATA, in support of the safety and efficiency of B-doubles, stated drivers having to undergo a medical prior to obtaining their MC licence was one of the reasons for B-doubles having a superior safety record compared to other combination types. If this is indeed the case then shouldn't we be learning from this experience and introducing medicals across the industry? From March 1 new Austroads standards were introduced that all driver medicals are to the same standard, whereas previously the TFMS/BFM medical had a higher emphasis on sleep apnoea than for a MC licence. Sleep apnoea is the sleeping disorder that prevents an individual from gaining quality sleep through interruptions to breathing and is the most dangerous health hazard to the long distance transport driver. Sleep apnoea is treatable and can be tested for, in fact if you are a transport driver you will be elevated to the top of the queue to be assessed before other members of the public. 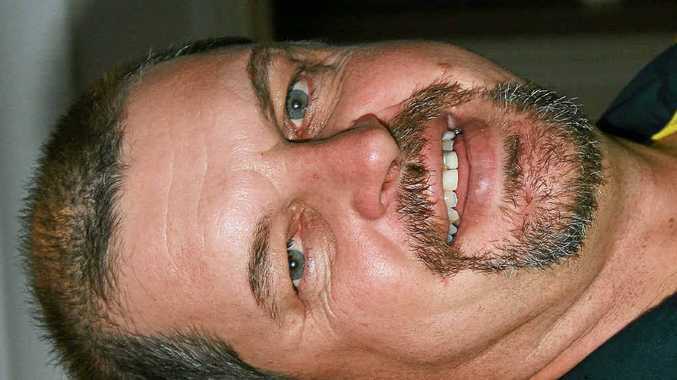 Sleep apnoea came to the fore locally when a truck driver Robert Alan Pearce was recently convicted but escaped jail after falling asleep at the wheel at Ulmarra in February 2011 and crossing to the wrong side of the road, resulting in the death of Nathan Zanuso. Pearce was diagnosed after the accident with "severe obstructive sleep apnoea". The accident and the resulting trial verdict made major headlines in the local area. In discussions with a member of the public, I was asked "shouldn't that have been diagnosed beforehand in a medical?". They were extremely surprised, when I explained only drivers in the BFM scheme have regular medicals, and medicals are only required to obtain an MC licence and are dependent on age after that. The public is under the perception, that like bus and coach drivers we, as an industry, are all required to undergo medicals, but we don't. Sleep apnoea is not the only health hazard to drivers. Heart disease, diabetes and poor vision are among the list of ailments that can place a drivers and public at risk. In fact it was through TFMS medicals that I was diagnosed with a condition called hemochromatosis or high iron which has the same symptoms as low iron, namely tiredness and lethargy, and can lead to serious complications. Through simple dietary changes my own health has never been better. Many drivers fear that if they are required to undergo medicals they may lose their licence and ultimately their livelihood. A doctor will only revoke someone's licence if they feel the patient or the public's safety is in immediate danger and if that be the case, an individual should be more concerned with their health than with their license. Considering each road fatality costs the community roughly $2 million, the cost of a medical is cheap, very cheap by comparison. "Many drivers fear that if they are required to undergo medicals they may lose their licence and ultimately their livelihood."